21 December 2012 Herewith "A Nocturnal Upon St. Lucy's Day, Being The Shortest Day". Cheer up, John Donne, it isn't the end of the world! 7 December 2012 Though not wanting to be pushy about self-promotion, anyone who's tempted by the Algis Budrys collection Benchmarks Continued: F&SF "Books" Columns 1975-1982 should know that (as I learned only this morning), Lulu.com is offering a 20% discount on all orders until 14 December. Details here while the offer lasts. 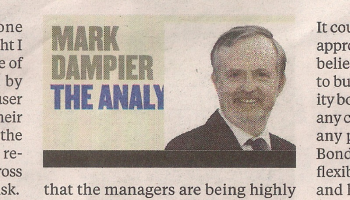 3 December 2012 Here is yesterday's Sunday Telegraph sf column. Quotes cut from the hobbit book description, just before my closing two words: "Isengard is the Monsanto of Middle-earth" while the Lockholes are "the Guantanamo of Hobbiton".  Later: here's Ansible 305. The horror is over ... until the New Year. 30 November 2012 Now at last it can be announced. Benchmarks Continued: F&SF "Books" Columns 1975-1982 by Algis Budrys, published by Ansible Editions, is available via Lulu.com. Click Preview on the Lulu page for a glimpse inside. 27 November 2012 Censored again! As with the Lavie Tidhar micro-review (see 2 October), the Telegraph wouldn't run this one. Apparently their crime reviewer has first dibs on supernatural thrillers: "I Remember You (Hodder £13.99) by Yrsa Sigurdardottir, a police-procedural ghost story of lost children, deep-freezes us with supernatural dread in Icelandic winter. A hapless trio stranded in a haunted village and a bereaved psychologist investigator all seem innocent victims, until the emerging back-story reveals a nasty web of guilt and complicity. It bites, like frost." 17 November 2012 I've been so busy (pushing the SF Encyclopedia text past 3.8 million words and now working on another Sunday Telegraph column) and otherwise distracted (Novacon 42, where I fell down a manhole to comical but painful effect) that I neglected to post some links. My Hugo Award from Chicon has arrived – see gloating photograph here – and my and Greg Pickersgill's Algis Budrys book project is nearing actual publication, with contracts signed, proof copies admired and web pages under construction. 8 October 2012 Here are yesterday's Sunday Telegraph mini-reviews. 2 October 2012 I'd really hoped to publish Ansible 303 on the first of the month, but time and chance and the SF Encyclopedia all conspired against this.  Shock horror censorship! The batch of micro-reviews I sent to the Sunday Telegraph last week (they should appear on 7 October) originally included the following, which was vetoed: "The world of Lavie Tidhar's Osama (Solaris £7.99) isn't ours. Terrorism is unknown: 'Osama bin Laden, Vigilante' exists only in rubbishy thrillers. Our private eye hero, hired to trace the books' author through an evocatively described alternate Paris and London, is haunted by not-quite-real people and the oblique oppression of our own reality. A remarkable performance." I thought this first mass-market appearance of a notable work from the small-press PS Publishing deserved mention; but the ST had run a review of the PS edition last year and that was that. Well, I tried. 27 September 2012 A little SF Encyclopedia-related bragging here. Normal modesty will shortly be resumed. 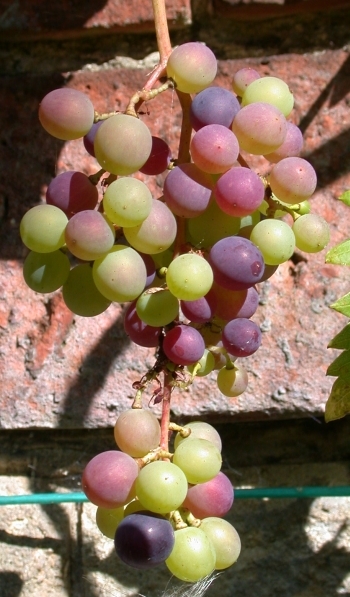 22 September 2012 For the first time in recorded history, the vine in our back garden has produced grapes. Can such things be? 3 September 2012 It seems a long time since I woke to news of a Hugo Award – shared this time, between the editors of the Encyclopedia of Science Fiction for Best Related Work. See the full list of winners at Locus Online. Glad to see Jo Walton's Among Others follow up its novel Nebula with the novel Hugo, not only because it amazed me by including a fervent plug for Ansible. Speaking of which ... yes, I'm working on the September issue now. But first I have to deliver an Interzone news column. SFX column deadline follows imminently. No rest for the wicked.  Later: here's the promised Ansible 302. 31 August 2012 To Harry Harrison's funeral and wake in Brighton, a sad, exhilarating and hugely alcoholic occasion. I'll be saying a bit more about this in Ansible on 3 September. 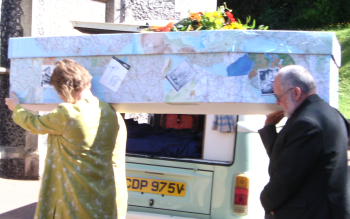 Here's Harry's colourful coffin – papered with world maps – being carried from camper-van (no hearse for him) to chapel. 28 August 2012 Another gap: what have I been doing rather than entertain the dozens if not smaller numbers who read this page? Going mad over the SF Encyclopedia; mourning Harry Harrison; reading for the Sunday Telegraph column; writing said column; groaning over the savagely cut version of the latter that appeared on 26 August, although the ST website does at least restore the deleted word that was the subject of a sentence; and did I mention going mad over the SF Encyclopedia? The latter has been updated with various jolly enhancements and today surged past 3.7 million words: see the pretty bar charts! Now I'm working on an SFX column about Harry and hope to have it finished before his funeral and wake; meanwhile, the editor of Interzone has begun to make noises about a new "Ansible Link" column deadline which I would much rather defer until the Worldcon is over and we can report the Hugos.... All just routine, then. Tales of ordinary madness. But about the Encyclopedia seriously am I going mad. 1 August 2012 Here's Ansible 301. And here from July is little brother in the utterly prestigious South Wales Argus. 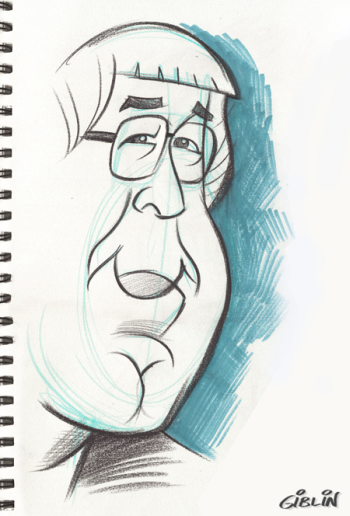 Which also reviewed his book earlier in the year, with a mention of me (touches forelock in humble gratitude). 12 July 2012 Oops, I failed to acquire the 8 July Sunday Telegraph in order to gloat over my tiny sf review feature in its Seven magazine and send a copy to my mother. The piece has now appeared online, but can anyone oblige with the printed Seven or just a scan of that page?  Links that I forgot or was too busy to post here earlier: Lightspeed magazine reissued my short "Different Kinds of Darkness" this May, accompanied by a brief interview about the Langford Mind-Erasing Fractal Basilisks. Peter Nicholls was interviewed about the history of the SF Encyclopedia and said embarrassingly nice things about me. Nick Parisi reports that the Italian edition of Year's Best SF 16 (ed. 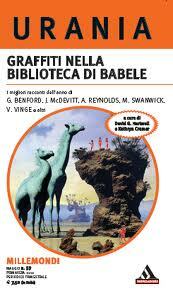 Hartwell and Cramer) has been retitled Graffiti Nella Biblioteca Di Babele – being the translated title of my own included story. So I'm big in Italy, though not big enough for a front-cover credit. 2 July 2012 Suddenly, to the astonished horror of everyone who assumed I'd stop at a nice round number like 299 – it's Ansible 300. 9 June 2012 Very annoyingly, the SF Encyclopedia site (together with Gollancz's associated Gateway) has been down since shortly after 9am today. No IT staff available since it's a weekend ... This is what happens when you entrust your precious work to the web servers at some potty little backstreet operation called Hachette. Later: Back on line around 5:24pm. Scheduled maintenance on Gateway, it turns out. They forgot that this also takes down the SFE (same server) and so neglected to tell us. 1 June 2012 Today is the first of flaming Ansible 299. 26 May 2012 An irritating week that began with a coughing fit which avoided the traditional keyboard target but sprayed tea all over the monitor. You really don't want to know what this does to a big ViewSonic flatscreen display. Black holes! Dripping blood! I've spent five days obsessively watching pixels dry.  The latest news about the long-awaited bug fixes for the SF Encyclopedia website is almost too depressing to relate. Let's just say that when I was working in software development, I'd have loved a contract whereby any bug (however major and late-manifesting) not spotted in the first few weeks doesn't count and won't be fixed except by paying for lots and lots of further "development time".  Meanwhile we're still working through Freegle to get rid of the remaining surplus furniture from the Harlech flat. Two large intractable lumps taken away yesterday; interest expressed in four more, including the yellow kitchen cupboard that reputedly once belonged to Neil Kinnock (no written provenance available).  Meanwhile I've been reprinted in Lightspeed. 10 May 2012 Today I discovered why I've been getting so many spam-like media press releases. A PR chap spilled the beans: "You received this as you are listed on Gorkana as generic entertainment journalist under your keywords." Oh, great. I had email from Gorkana.com last year: "One of our PR clients requested we add Ansible to Gorkana and I wanted to request some information from you. Please could you complete the missing fields in the template below?" Rather than provide such information, I replied explaining that Ansible is "a free science fiction newsletter which I run as a hobby. I do not have PR or journalist jobs to offer, nor do I want to apply for any such job or to receive either daily or weekly alerts. If adding Ansible should lead to unwelcome traffic, will it be removed at my request?" No reply; they just put me on their damned database anyway, as a target for "generic entertainment" PR – not restricted to science fiction. Ethics: that's a place in Greece, isn't it?  Before launching my vast anti-Gorkana campaign ("I will do such things – What they are yet I know not – but they shall be The terror of the earth. "), I tried a straightforward removal request. Twenty minutes later came a reasonably mollifying apology and promise that I've been expunged from the database. How I'll miss all those tempting opportunities to attend mundane art-show previews in far corners of the UK, or interview obscure non-genre stage and film actors ... no, come to think of it, I won't. 1 May 2012 Though confined to quarters for a week with a gammy foot, I have still somehow managed to forge that terrible implement of dread which is Ansible 298. Think of it as my revenge on a cruel, uncaring world. As it says in the issue somewhere: special thanks to Hazel for doing all the heavy lifting (visiting the copy shop, dumping the traditional batch of Ansibles at the Oxfam bookshop, taking the snailmail copies to the post, etc). Normal service will be. 20 April 2012 The end of an era approaches. For 25 years we've owned a getaway flat in Harlech, North Wales, where we used to spend several weeks each year; but various complications (some revealed in past entries here) have made it impossible to get there since mid-2009. Big decision taken. With amazing speed Hazel arranged for the place to be cleared by professionals, in our absence, and sold. We've rented a Reading garage as interim storage space for the furniture etc. that'll be arriving here this weekend. Much of this will have to go. Want a yellow kitchen cupboard that reputedly once belonged to Neil Kinnock? No, I rather thought you didn't.  Another Sunday Telegraph review column has made it to their website. 9 April 2012 Here I am at the tail-end of Eastercon. On Saturday evening we had the Hugo shortlist announcement, revealing that the SF Encyclopedia is up for Best Related Book. On Sunday, after all the nominees had been tormented for about 40 minutes by MC John Meaney's standup comedy routine, the SFE won as Best Nonfiction. John Clute wasn't there, and I filled in for him by saying the few words he would probably have uttered: "Rebarbative. Fantastika. Epithalamion. Haecceity." 6 April 2012 A helpful correspondent reveals my planned obsolescence: "Did you know that Essex and Suffolk Water have a Langford Recycling Scheme?"  Here are a few more SFX columns posted for your Easter weekend reading pleasure. Or displeasure, as the case may be. 3 April 2012 I'm not a great collector of signed first editions, but couldn't resist a copy of The Poet and the Lunatics (1929) with the author's autograph. 2 April 2012 Another month, another Ansible: issue number 297 polluted the ether today. Now it's time to think about the coming Eastercon – but not if you don't already have a membership, because they're full up and taking no further registrations, not even day tickets at the door. 1 April 2012 No April Foolery within these solemn portals, perish the thought; but I collected some seasonal links. Naturally I was charmed to receive a namecheck from the anagrammatic Lawrence Person in his Locus squib. 1 March 2012 Here, brought forth with great pain and suffering, is this month's issue of Ansible. 26 February 2012 Another week of feeling grotty, with a tiresome cough that wouldn't be too bad in isolation but has a way of stirring up the pain centres behind that still-recovering eye. Today, the Sunday Telegraph published the third of my merry sf round-ups. 6 February 2012 For a few days now that bubble in my eye has been visibly shrinking; by midday Monday it was tiny and in the evening it was gone. Today's achievements: I caught up on routine SF Encyclopedia work and delivered a third batch of sf reviews to the Sunday Telegraph, while Hazel supervised a team of tree surgeons who removed various dangers and eyesores from our garden. 1 February 2012 A new issue of Ansible today, almost to my surprise since the eyesight problems made this difficult. Improvement began, or became perceptible, around 26 January (when the surgeon repeated that he was well pleased with results). There's still a distracting bubble of exotic gas – sulphur hexafluoride, who'd have guessed? – in the afflicted eyeball. But you didn't want to know that. 21 January 2012 Terrifying eye diagnosis on the 19th. Retina surgery yesterday (in Windsor rather than here because the surgeon didn't want to risk waiting for a Reading slot next week, so the day started with a 6:30am cab ride). Successful operation, I'm told, but things will be blurry at best for several days yet.  The 15 January Sunday Telegraph piece finally reached their website. In print it's headed "Hot Type: New science-fiction novels"; for fear this description will be above the heads of web geeks, the online version helpfully substitutes "Sci-Fi roundup: January 15". 18 January 2012 The Ansible site, as a helpless mind slave of BoingBoing and Wikipedia among very many others, is dark today. So is part of my field of vision, all too literally. Just got bounced very quickly from GP to hospital, with a further hospital appointment tomorrow morning. So much for plans to gloat about my second Sunday Telegraph sf review column on the 15th. 9 January 2012 After much toil and travail, a new version of the SF Encyclopedia text went live today, along with a Progress Report about developments. 3 January 2012 Delayed by New Year's and a UK bank holiday on 2 January, Ansible 294 offers what may be our longest R.I.P. list ever. Sorry about that.